If this sounds like a thinly veiled excuse to write an article about “The X-Files” that is only tangentially related to law practice management, well, it is. So, sue me. (See what I did there.) It worked out with the Eagles, right? This is, after all, kind of my specialty. Hang in there. Now then, if you haven’t watched “The X-Files” event series/Season 10, you really should. The critics have been prickly about it, and so have some of the fairweather fans, but both classifications suffer from the same root expectation: They want the show to be more like the original. Of course, it’s a bolder choice not to elect the fan service option, and to do something different, rather than taking a handsomely compensated “victory lap.” While the new episodes do feel a little like the producers are trying to cram a 12-episode run into a six-pack, the six episodes are nonetheless worthy of a place in the current golden age of television. The fourth episode features a classic villain; the first and sixth episodes bookend a clever grafting of the two major conspiracy theory themes of the show’s original run. The fifth episode is trippy, and features Mulder line dancing; the third episode is a brilliant satire, a savage commentary on the drag of modern existence. It’s not that far off from the original (how could it be). But it’s different enough that it is nothing like a slavish reboot (ahem, ‘The Force Awakens’), and that’s enough to keep things interesting, at least for me. Even if you don’t love “The X-Files,” like all the best people do, you should know that there is a little Scully in every lawyer. Dana Scully. Scully is the skeptic, sent to debunk agent Mulder’s work; contrary to the plan settled by the Majestic 12 (or whoever the hell else it was — yes, I know they were called “the Syndicate” in the show), Scully becomes Mulder’s unlikely advocate. Law students are taught to become skeptical by professors who are themselves trained to break down the naive belief in a world that, every now and then, doesn’t get sideways. Law students morph into lawyers who are skeptical of anything turning out well. Not that that’s a bad thing. Lawyers who anticipate the worst-case scenario can prepare for it; but, even for lawyers who look to the inevitable collapse of any position they might take, there must remain an inherent faith in the wisdom of what they do, an unfailing belief in the course of action they take. Scully feels you. Fox Mulder. Is that David Duchovny’s music? Mulder is the unfailing, unrelenting believer. Whereas the lawyer is trained that everything likely may just turn out to be inherently untrue, Mulder (when he’s not losing his gun) is considering that the more unlikely something is, the more plausible it must be! Sometimes he’s right, which I guess goes to show that if you believe in the impossible enough times, you’re bound to be right, at least some of the time. But the best lawyers are an amalgam of Mulder and Scully. Being a practicing lawyer is a strange phenomenon: You’re something like a walking contradiction, having to balance self-doubt against self-aggrandizement at every turn. You have to believe (and promote that belief to your client) that your strategy, and your ability to deliver on that strategy, is without compare. Yet, contemporaneously, you need to recognize all the flaws in your own game, as well as in the games of others. It’s an admirable, if daunting, difficult, even damaging, stratagem to revisit each and every day and it probably explains, in large part, the continuing challenges lawyers face in their personal lives, when they try to wind down, and only get more wound up. Of course, the principals of “The X-Files” were never the only ones driving the show — though it sure seemed that way near to the bitter end. The creative force behind the series and movie(s) is Chris Carter (whoops, not that one); and, what he did, and whom he invented, carry instruction for lawyers interested in a better way forward. Chris Carter. The creator and showrunner of “The X-Files” has been building on an iconic brand for decades now. Even so, Carter is turrible at writing dialogue, neither is he terribly funny. However, instead of trying to overcompensate, throwing himself into proving a negative, he instead relies on other talented professionals to pick up his slack. The result: Darin Morgan gets the creative control required to write the black comedy “Clyde Bruckman’s Final Repose” (featuring a stand-out performance by Peter Boyle) and the straight comedy “Jose Chung’s From Outer Space,”(including cameos from Jesse Ventura and Alex Trebek). The funniest episode of the “The X-Files,” though, has got to be “Bad Blood,” for which Luke Wilson’s teeth should have won an Emmy. That episode was written by Vince Gilligan, who also wrote the Season 6 episode “Drive,” co-starring Bryan Cranston. (“Drive” was what Gilligan used to pitch Cranston as the lead for a new series he would develop, called “Breaking Bad.”) Glen Morgan (Darin’s brother) and James Wong wrote “Home,” the most disturbing episode in “The X-Files” catalogue, which was, itself, based on a strange tale relayed by Charlie Chaplin. None of these iconic episodes were helmed by the show’s creator, because Carter had the self-confidence to let others shine where he did not. How many managing partners are willing to do the same, to admit that, even if they will still oversee operations, they are not the best man (or woman) for a particular job? The Lone Gunmen. Their collective name is one of the best plays on words in modern television history. The Lone Gunmen were Mulder’s reference librarians for the occult and unusual. Their spinoff show ended after one season, but the cultural significance of its first episode remains chilling. The special will of the Lone Gunmen was that they never discounted any possibility. This not only made them the perfect associates for Mulder, but also exemplars to lawyers who too easily discount opportunities, especially in the realm of marketing. You’ve got to turn over that stone, to find out what’s underneath. 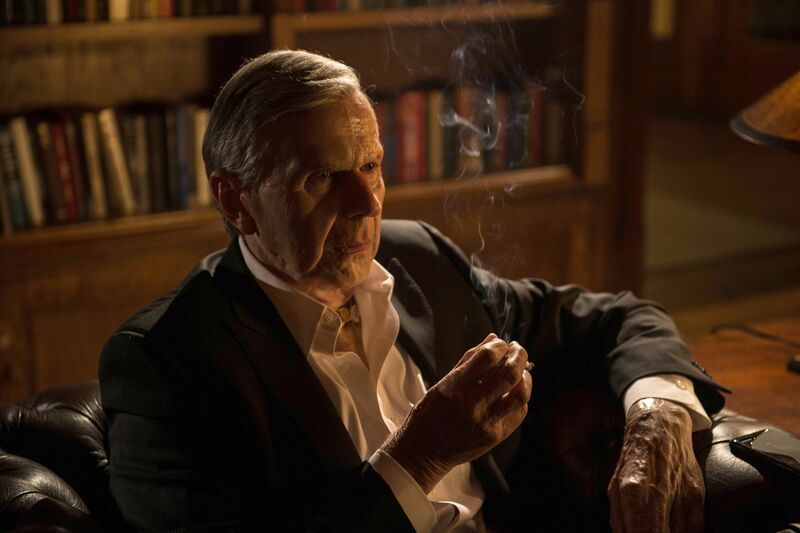 Cigarette Smoking Man. You can’t kill this guy; he’s relentless. In a country where lawyers are a dime a dozen, you’ve got to be relentless in every aspect of your business management, in order to make a living. Relentlessness is a business virtue, of course; just don’t get carried away. After all, what lawyer is not also a frustrated author? Trust me, I know it’s hard to be a solo or small firm lawyer. I talk to solo and small firm lawyers about their challenges almost every day. But sometimes it’s better to stay in than to get out. You can fantasize about the added prestige of a bigger firm gig, the extra money. But it could just be that your lifestyle fits. The grass may, in fact, be browner on the other side.